In a globalized and connected world, risks are not necessarily localized in specific parts of the economic and financial system, and their connections and nonlinear interactions must be taken into account. In such a world, it is not in general possible to base the management of risks on optimal solutions, while it is nearly always possible to build an acceptable strategy. This master program aims to train the students in connecting the dots, and in understanding the economic dynamics in their interaction with other spheres of the society, including financial system and natural environment. 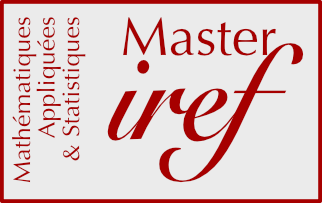 This program benefits clearly from, and completes, the competencies covered by the IREF program and other programs in applied mathematics of the Master. Our students will become specialists of complex economic dynamics, and will learn to develop adequate data-based strategies when facing them in firms and organizations. The structure of the program is very straightforward, and it combines the acquisition of basic modeling competencies with the analysis and management of complex dynamics observed in different spheres of the economic system and in their interactions. This second year of the master program is grounded on the foundations acquired during the first year in mathematics, statistics, econometrics, game theory, micro and macro economics, and finance. The expected number of students is 20.